A year ago now, the newest entry in the Metroid series, Other M, was in the process of becoming infamous for a few reasons: its departure from traditional series play mechanics, its heavy focus on story, and the direction Samus' character development was taken. As such, Other M has already been written about quite heavily. I've written critiques for every core game in the Metroid series and when Other M came out I was also ready to tear into it. Real life circumstances delayed my own writing, however, and this had some positive benefits. As time passed, my own opinions changed and matured. I hope that, writing now, my views will be much less reactionary than they would have been a year ago. Other M is a game I consider extremely important as an object of reflection. Where it went wrong and why are more valuable to the continual maturing of the video game industry than where it succeeded. Prior to tackling this article, I had an in-depth discussion with Xantar, an acquaintance of mine and blogger at PVG. This discussion helped me solidify my stance regarding Other M and I'll be addressing quotes from it in this piece. 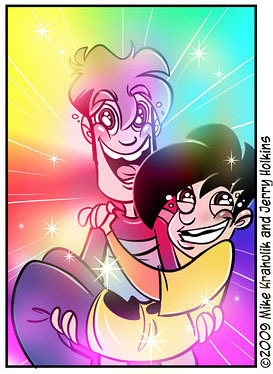 With a single picture, Penny Arcade perfectly expressed my initial reaction to the announcement of a new Metroid game in collaborative development by Nintendo and Team Ninja, unveiled at 2009's E3 pre-show. I was familiar with Team Ninja from the Ninja Gaiden games and had no trouble imagining how their flair for high energy combat could be married to Metroid's classic gameplay. What's more, the series would finally return to a third person perspective. Make no mistake, my love of the Metroid Prime trilogy is absolute—but I'd rather see Samus in action, not see through her eyes. Finally, the indication that the game was to use both 2D and 3D play mechanics was icing on the cake. Sure, 3D was great for exploring large environments, but the classic Metroid platforming worked better in 2D. I was ecstatic. This was going to be the Metroid I'd dreamed of. When I arrived in Los Angeles to cover E3 the next year, I had a laundry list of things to see, but at the top was a hands-on session or two with the Other M demo. I'd already read the impressions of other journalists who'd played earlier builds, but their cautious optimism, frequently coupled with concerns over the controls, left me feeling a bit deflated. I'd like to say all my fears melted away as I played it myself, though that wasn't exactly the case. I had read in an interview with series designer Yoshio Sakamoto that he wanted Other M to feel like a modern NES game, and the decision to limit control to just the Wii Remote served as a callback to the old NES controllers. The game, however, didn't hearken back to "ye olde-school days" so much as it seemed to cram modern and archaic ideas together in a rather arbitrary fashion. The developers made the decision to limit control to just the Wii Remote work, but what an inelegant solution. What's more, instead of the game incorporating both pure 2D and 3D areas within, it hybridized a 3D world and digital movement, throwing a sometimes-awkward first person view on top. I wished they'd have stuck with a purely 2D game if Sakamoto was so determined to foster that old-school feel. I returned home from E3 that year tired and mostly content, but for that Metroid-shaped cloud casting a shadow on Nintendo's otherwise bright schedule of upcoming releases. Misgivings or no, I put in my pre-order for Other M and reserved judgment. Once I finally got my hands on a copy and played it from start to finish, I was pleased to realize I had enjoyed it. The acrobatic combat, complete with quick kills and last-second evade maneuvers, was exciting. I was also a big fan of the Concentration Mode mechanic, which struck an excellent balance between limiting health and missile ammo and replenishing them. Gone was the time spent farming refill items. Some of my most adrenaline-charged moments were during boss fights, health depleted, frantically looking for that instance of calm that would allow me to use Concentration Mode, nervously waiting as my health refilled, the enemy moving ever nearer. Do I abort and dodge? Do I stand my ground until the recharge finishes? This was a tension-filled system worthy of becoming a series staple. On the other hand, not using existing abilities until authorized was a leap in the wrong direction. As gamers we make jokes about Samus' bag of spilling, which ensures that at the start of every new adventure she's back to finding upgrades once again. This is a foundational mechanic for how Metroid works. It's pretty easy to accept and deal with. In addition, it's just plain fun to thrash a boss monster and get a cool prize. In Other M, Samus was already equipped with the powers she would find immediately useful but arbitrarily refused to use them, a game mechanic that was frustrating in its sheer inanity. Rest assured, I'll have more to say about that later. 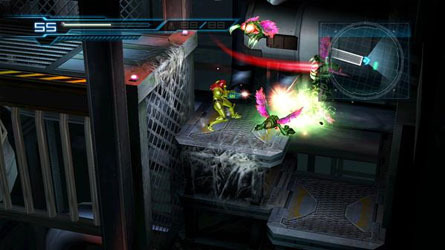 Ultimately, the biggest problem I had with how Other M played was that it just didn't feel much like a Metroid game to me. The heart had been streamlined out of it. The combat was there in spades, but the exploration aspect had been reduced to brief treasure hunts. Samus felt boxed in with hardly a choice in direction. Worst of all, doors locked behind her preventing most backtracking. It was a race forward through too many simple, box-like rooms and corridors, environments that had all the life of cardboard dioramas, and little in the way of puzzles to figure out. Other M's world felt like thin gruel. Xantar: I think where I philosophically differ from you is that I try not to have a preconceived notion of what a Metroid game is. To me, a Metroid game is whatever Sakamoto decides it is. He has the right to do that. He created the series. Now, that's not to say that I like everything he does. But when he missteps, I'm disappointed that it makes the game worse, not that it makes the game "less Metroid." During my discussion with Xantar, we agreed on most of our points, but here our opinions diverged. As I see it, upon creation, be it book, movie, or video game, a work of fiction gains its own identity separate from its creator. The characteristics of a game can become hallmarks of a genre. How do you describe a game like Okami? Why, it's a Zelda-like adventure game. Adjusting the ingredients and mixture of a game's elements for variety and freshness can be healthy. But move too far away from the fundamentals that form the basis of a series, and the game can become unrecognizable—though, of course, some series are more malleable than others. If monster movie maker Toho had been responsible for the creation of 1998's American Godzilla film, it still wouldn't feel like one of Toho's true Godzilla movies. If Batman creator Bob Kane wanted to re-envisioned Bruce Wayne as a roguish lover in a bat costume, starring in a series of Victorian romance novels set in London, he'd have every right to do so, and the fan base would have every right to call shenanigans. 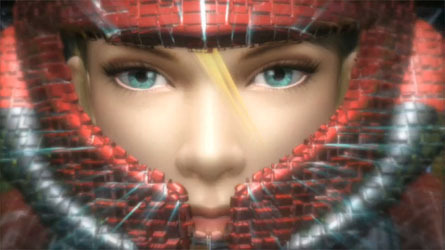 Other M absolutely had very satisfying moments that made me think, "yeah, that's Metroid!" But most of Other M felt like a shallow pretender rather than the real McCoy. What's more, the game had a fantastic set-up for a deeper exploratory experience that it never capitalized on: the holograms. You could see the faintest hint of potential in one interesting room, where a malfunctioning part of a hologram indicated a wall that could be bombed. Imagine if the game had done more with this concept of swapping back and forth between what was real and what was illusion to create challenges. The concept of offering dual worlds has been done before, but this would have been a wonderfully novel execution. Alas, Other M did almost nothing with it.